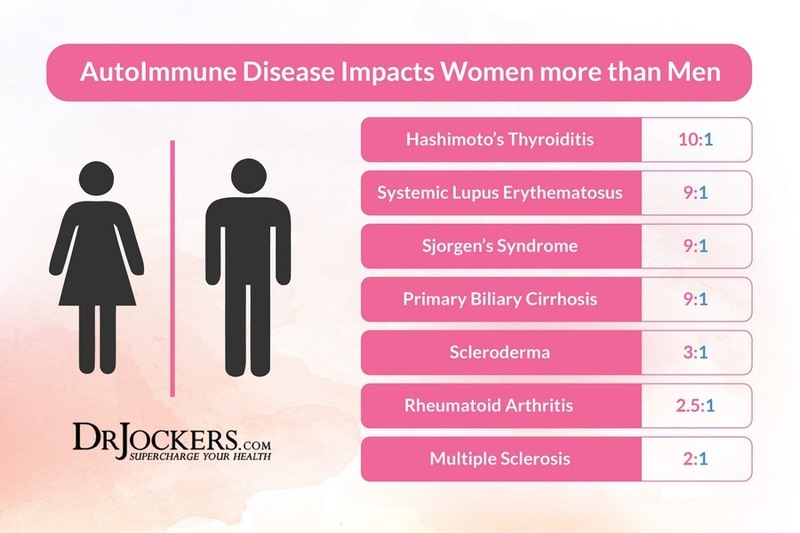 Autoimmune diseases are a huge problem in the world today. As a whole, autoimmune diseases affect over five percent of the population in Western countries. They include type 1 diabetes, lupus, rheumatoid arthritis, multiple sclerosis, colitis, Crohn’s disease, and dozens of others, but they all have one thing in common: The immune system is being activated by a pathogen or a virus and inflammation results. At their root, one central biochemical process connects these seemingly disparate diseases: A runaway immune response, called systemic inflammation, is believed by conventional medicine to be the body attacking its own tissues, however, this is simply not the case, there is often a viral and a pathogenic aspect which the immune system is trying to deal with and the virus is also taking advantage of the crisis by inserting itself into the DNA of the immune system which can also result in the immune system being partially disabled as the virus seeks to protect itself from destruction. Inflammation is a condition where the body’s immune system attack various proteins that are seen as foreign and potentially dangerous to the body. This includes things that really could be dangerous such as bacteria, viruses, parasites, etc. But it can also include things that aren’t dangerous to the body such as pollen, dust, specific food particles and our own tissues. Acute inflammation, such as when we have a splinter, is necessary in order to prevent against a dangerous infection. The inflammatory storm that takes place when we have an open wound is nothing short of life-saving. In fact, systemic infections have killed more people in the history of mankind than anything else. So the body has adapted to become stronger over time and we have hardwired the inflammatory storm process to allow us to survive dangerous infections. Unfortunately, this same strong internal military can be untamed and cause damage and destruction to our tissues. How many times have you sought medical attention to improve a health problem you are facing only to walk out of the office with little indication of a possible diagnosis and a prescription sheet directing you to consume drugs only to treat your symptoms? A known 22 million people in the United States are affected by an autoimmune disease and millions more likely suffer unknowingly (6). Now, what if that prescription sheet had a natural strategy for you to follow that could not only treat your symptoms, but decrease the severity of your disease or disorder and possibly prevent further suffering? An autoimmune diet may be the answer you were originally seeking. Many factors may trigger an individual’s immune system to function inappropriately such as infectious agents such as bacteria or viruses, genetics, and lifestyle factors. Although we are unable to change our genetic predisposition to autoimmune disease, we can change your lifestyle habits beginning with nutrition (6). The human body is naturally designed to detect foreign agents in the body such as toxins or cancer cells. Antibodies are created to seek and destroy these harmful invaders flagged as potential threatening agents called antigens. Although these foreign antigens are looking to fit in, once the antibody recognizes them as invaders they alarm other cells to attack and remove the antigen immediately (2). When the immune system confuses normal compounds with harmful antigens such as gluten, its defense mechanisms maintain the body in a chronic state ofinflammation. A cascade of destructive physiological effects occur which potentially leads to abnormal tissue growth or organ dysfunction (1). The following is a list of common autoimmune diseases and autoimmune related disorders compiled by the National Institute of Health (1, 2). There are many others that are not listed. Chances are that you may suffer from one of the follow disorders yourself or you know someone who does. 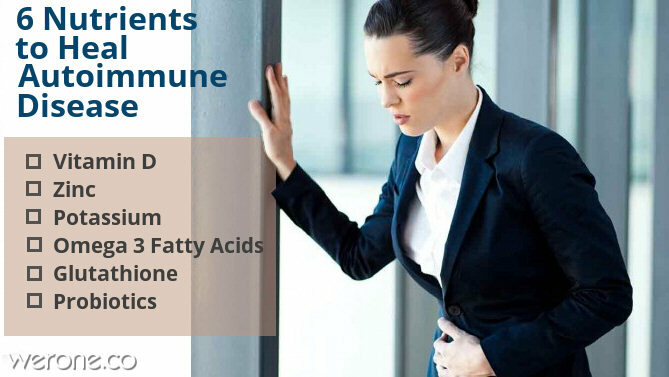 Many of these autoimmune complications are treated using immunosuppressive medications which can put the body at greater risk of harmful infections. Fortunately, more evidence shows that dietary lifestyle changes can decrease the severity of these symptoms, halt the progression of disease and possibly prevent the problem from occurring from the start (1, 5). Fatty acids are attributed to decreasing immune mediated inflammation. Fatty acids suppress antibodies that alarm the immune system for defense and improve the signaling pathways of cells which cause inflammation.